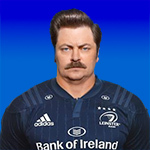 babbling brook, the leinsterfans.com supporters forum • View topic - Box Sets... The Next One ??? Box Sets... The Next One ??? Re: Box Sets... The Next One ??? I've given a few French tv series a go on netflix and most have turned out to be a bit cac but I am really quite enjoying "The Chalet". I don't know if it has an english soundtrack or not but i prefer watch them in French with English subtitles. It's six episodes and has a decent plot and some good looking women to boot. Just finished The Punisher, I really enjoyed it but Nicola opted out after ep 2. A lot of violence and one personal nightmare involving a prosthesis brought to screen. Quite a few tropes and comic narrative devices in there but suspending reality comes quite easily to me. Jaysis. I never made it to epp 3 never mind series 3. Finally got around to watching Westworld though having watched the first epp last year sometime. Pretty good. There is a twist in epp 7 that I thought was revealed in epp 1 but when I went back for a quick skim of epp 1 I couldn't find it so I am now wondering if I accidentally watched a bit of a later one by mistake at some point. So I got through series 1 of westworld. It got a bit Sherman tanky at the end. Is it worth getting into series 2? johng wrote: So I got through series 1 of westworld. It got a bit Sherman tanky at the end. Is it worth getting into series 2? Enjoying Get Shorty much more than I thought I would. Not coming back for Westworld Season 3, great production values but good grief the plot holes and dues ex machina at work is unbearable. Disenchanted, not up there with Simpsons in its season 3-8 heyday but enjoyable comedic nonsense on a par with Futurama although maybe lacking some of the depth or pathos that show had in layers years. Well worth seeking out. Yeah, through a few episodes and it feels quite like futurama. One or two good laughs per ep and easy to watch. Nice to flick on if you've only got 30 mins to spare.